For the next couple of weeks or so, we're asking you to download our mix94.5 App, as on the app, we're revealing the Randomiser song of the day that could earn you a cool $500. 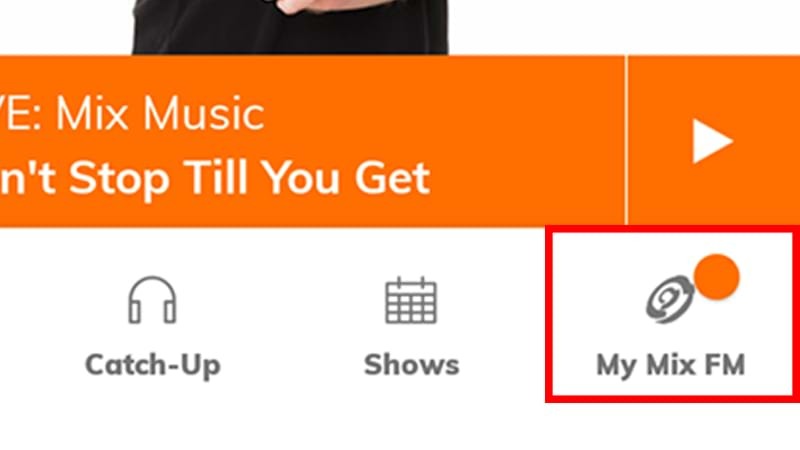 The app allows you to take mix94.5 wherever you go, right there on your little device. The Big Breakfast with Clairsy, Matt and Kymba on the way to work, Tim Lordan and Ross Edwards for the daily grind and then, of course, The Rush Hour with Lisa and Pete for your trip home. But back to our awesome Randomiser competition. To ensure you are getting the daily message telling you what the Randomiser song of the day is when you log in to the app, there's one thing you need to check on your app to ensure it's working as best it can. Of course, if you don't have the app, you can get it right here. 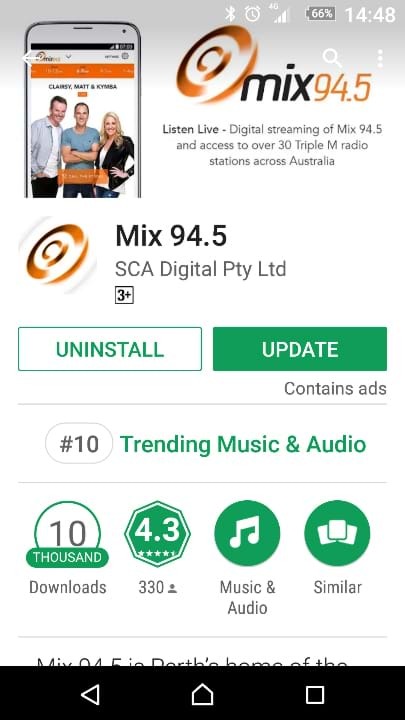 Once you open the mix94.5 app, check the very bottom right hand side of the app. You should see this. If you see this, then you should not need to do anything. This is incorrect! This means you are most likely to have an old version of the app, that needs updating. Open up the App Store, click on the Updates tab down the bottom and if your app needs updating, it should appear in the list of apps to be updated. Press 'Update' and it should automatically update. 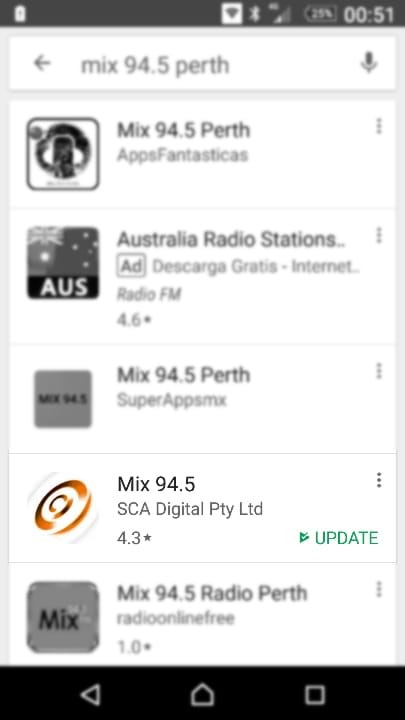 Go to the Google Play store and search for 'mix94.5' in the search button. If you have it installed it will appear in the search results and should have a green 'Update' button next to it. You can also open the app, and if you need an update, it will show as an option with the app link opened up. Hit that button and your smartphone should do the rest. If, still, you're not seeing the Randomiser message like you think you should be, uninstall your current app, and follow the prompts in your respective 'app store' to download and install the current version of the app. If, after trying all this, you are still having issues, email us at mix@mix.com.au - we'll need as much info as possible, so make sure to tell us what device you're using, what problems you're having and so on. Screen shots help out an awful lot as well. Best of luck with the Randomiser comp! !